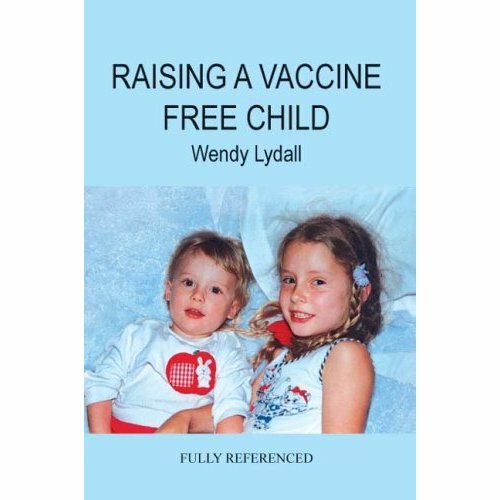 This book provides parents with a comprehensive, scientifically-based guide to the facts, myths, problems and solutions associated with raising a vaccine free child. It helps parents protect their children both from the wiles of the vaccine industry and from harmful germs. With 471 references, there are no trendy anti-vaccination myths in this book. Readers will learn that immunisation is not the reason for the absence of some infectious diseases, that insidious, long-term side effects are very common, and that there is a media blackout on the topics of vaccine side effects and vaccine failures. Health conscious parents are wary of the side effects of vaccines, but they also fear the infectious diseases to which babies and young children can fall victim. This book equips parents with the knowledge they need to cope with both the tactics of the vaccine industry, and with the very real threat from infectious diseases. Each infectious disease has different characteristics, and each needs to be approached in an individual way. Understanding the difference between the self-resolving childhood illnesses and the ones that need intervention is the first step to knowing how to deal with infectious diseases. This book advises parents on how to bring children safely through childhood illnesses like measles and whooping cough, and discusses medical and non-medical prevention and treatment of the non-childhood infectious diseases. Parents who choose to keep their children vaccine free are often accused of being selfish because they want to avoid the risk of side effects, while allowing their children to be protected by the fact that other children have been vaccinated. The idea that vaccinating some children prevents disease in all children is called herd immunity. The myth of herd immunity is used as a political tool by people who want to bully unwilling parents into vaccinating. The information in this book enables parents of vaccine free children to withstand the accusation that they are spoiling herd immunity. Bureaucrats often make statements about the safety and effectiveness of vaccination that are not supported by fact. The author has given some of these bureaucrats the opportunity to provide evidence to support their claims, but they have not been able to provide the evidence because their claims are wrong. A look at the early documents regarding vaccination reveals that it is an unscientific procedure that is based on falsehood, cruelty and supposition. VACCINE MYTH NUMBER ONE: "The benefits of vaccination are worth the risks"
VACCINE MYTH NUMBER TWO: "Side effects are rare"
"But children die of measles"
VACCINE MYTH NUMBER THREE: "When vaccinated children get the disease that the vaccine was supposed to prevent, they get it less badly"
VACCINE MYTH NUMBER FOUR: "Diphtheria declined because of mass vaccination"
VACCINE MYTH NUMBER FIVE: "Without vaccination there would be epidemics"
VACCINE MYTH NUMBER SIX: "If enough people are vaccinated, the disease will die out"
VACCINE MYTH NUMBER SEVEN: "Immunity can be measured by the density of antibodies in the blood"
VACCINE MYTH NUMBER EIGHT: "The vaccine failed because..."
VACCINE MYTH NUMBER NINE: "Smallpox was eradicated by vaccination"
VACCINE MYTH NUMBER TEN: "Louis Pasteur defeated rabies"
VACCINE MYTH NUMBER ELEVEN: "Vaccines are scientifically tested for safety and effectiveness"
VACCINE MYTH NUMBER TWELVE: "The effectiveness and side effects of vaccines are monitored after they are introduced"
VACCINE MYTH NUMBER THIRTEEN: "Scientific research has proven that vaccination does not increase the risk of SIDS"
VACCINE MYTH NUMBER FOURTEEN: "Homoeopathic vaccination can be used as a substitute for biological vaccination"
When discussing the risks versus the benefits of vaccination, it is important to make a clear distinction between the two categories of infectious disease. These are childhood diseases and malevolent diseases. The issue of vaccination becomes muddled if the two categories of disease are lumped together, because childhood diseases are very different to malevolent infectious diseases. Childhood diseases affect the immune system in a way that makes most people immune to the disease for the rest of their lives, but the malevolent infectious diseases do not do this. Vaccination is a partial copy of a natural infection, so when the germs of childhood diseases are injected into the blood stream, they create an artificial immunity that wears off and allows the person to catch the disease later on in life. There is a higher rate of complications with these diseases in older people. When the germs of malevolent diseases are used for vaccination, they do create antibodies, but that is not the same thing as creating immunity. The incidence of whooping cough has been decreasing for more than a hundred years, which means that very few children get it nowadays. Your child might be the one who gets it, so you need to know what to do to keep a child with whooping cough comfortable and safe. The first two weeks of whooping cough seem like a bad cold with mild fever and occasional fits of coughing. Suddenly the cough becomes more intense, and the child starts waking at night with spasms of coughing. When you hear that first "whoop" you know that whooping cough has arrived and it cannot be ignored. It is time to batten down the hatches and get ready for broken nights and long days. The coughing spasms are not glamorous affairs. The eyes bulge and the breath is pulled in through a constricted throat, causing that awful whoop sound. At the end of each spasm the child vomits up thick mucous, and sometimes food. Between spasms he or she sleeps soundly, or is cheerful and chirpy. Whooping cough does not cause the grumpiness that measles and mumps cause. Don't underestimate the potential of mumps to cause long term damage. A child must stay indoors and get a lot of rest to avoid complications. An adult with mumps is even more vulnerable to complications. Mumps affects the salivary glands so that the jowls swell up and the person looks hilarious. The virus can also cause inflammation in the pancreas, the ovaries, the testicles, the brain and the ears. Sterility, brain damage or deafness can result from improper care of a person with mumps. By affecting the pancreas, the virus can cause diabetes. This was first documented in 1899. The ovaries and testicles cannot be damaged in a person who has not yet reached puberty, which is one good reason for getting mumps over with in childhood. An adult male is the most vulnerable to mumps, because men find it difficult to rest in bed for a few days. While trying to persuade me that vaccinating my children against mumps would be a good idea, a neighbour told me about a famous New Zealand athlete who developed encephalitis from mumps and was left partially paralysed. When I pressed him for details, it emerged that the athlete had run a race while the mumps was acute. Once upon a time people knew that they must not run a race when they have mumps. When her condition became serious, she was admitted to hospital, where her aunt came to visit her. Her aunt had nursed diphtheria cases in Britain in the 1950s, and she said that her niece had the typical symptoms of diphtheria. The girl was flown by helicopter to a bigger hospital in Auckland, where they took a swab from her throat and confirmed diphtheria. When they learned that the girl was fully immunised, one of the doctors said to the mother, "Then it can't be diphtheria." They changed the diagnosis to bacterial tracheitis. The belief in herd immunity leads to many delusions. One of them is that when the number of immune people in a community drops below a certain point, it will make the next epidemic come sooner. In 1976 in Britain the vaccination rate for whooping cough dropped from 76% to 42%, because there had been publicity of bad side effects from the vaccine. The medicrats expected that the drop in the vaccination rate would make the next whooping cough epidemic come sooner, as well as expecting it to be worse. The whooping cough bacteria paid no attention to human theories, and the disease followed the usual timing of its natural cycle of virulence. Medicrats expressed surprise that the epidemic did not come sooner. There were also fewer cases and fewer deaths during this epidemic. The much lower vaccination rate of 42% made no difference to the long term decline of whooping cough, which had been happening for a hundred years. An example of the callous irresponsibility of modern medical officials is that they recommend that premature babies should be vaccinated according to their date of birth, not according to their gestational age. A proper study was eventually done in 2001, and it found that premature babies are very susceptible to suffering from serious vaccine reactions.